Janice Lee Taylor, age 76, was born on March 2nd, 1941 in St. Joseph, Missouri. She was the daughter of Clark Wade and Erna Lee (Crabill) Owen. 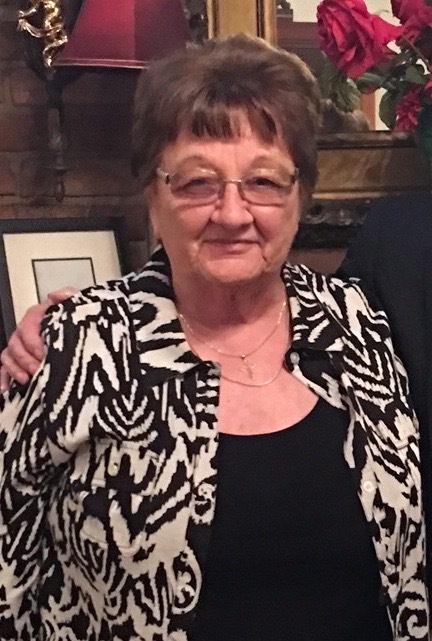 Janice passed away peacefully in her home in Maysville on April 14, 2017. Janice was an only child and attended school in both Maryville and Maysville. Janice married Eldon Glen Taylor on March, 18th 1957 in Maitland, Missouri and they had just celebrated their 60th wedding anniversary. Janice and Eldon raised their three children in Maysville where they all still reside. Janice and Eldon purchased Taylor Chevrolet in Maysville in July of 1971. Janice was the Business Manager and Co-Owner of the dealership. Janice was also instrumental in the Maysville community. She was a member of the Order of the Eastern Star Sunlight Chapter #247 where she was a former District Deputy Grand Matron and held the office of Worthy Grand Matron multiple times. Janice was also a member of Beta Sigma Phi Sorority. Janice was currently the Treasurer of the Living Hope Food Pantry and Thrift Store where she had been an active volunteer since its opening in 2007. Janice was a lifelong member of the Maysville United Methodist Church. She was the music coordinator and played the organ and piano for over 60 years. She also served as the Choir Director for the church. One of her most rewarding experiences was when she directed the DeKalb County Sesquicentennial Choir in 1995. In addition, Janice served on several committees, taught Sunday School, and lead Bible Studies. Janice touched many lives by her devout service through the church. Janice is preceded in death by her parents. She is survived by her husband, Eldon; son, Mark (Tracy) Taylor, daughter, Kerri (Jeffrey) Huffaker, and son, Clark (Sheri) Taylor. She is also survived by 7 grandchildren; Jake and Julia Huffaker, Rachel and Mason Taylor, Morgan, Madison and Moriah Taylor, and many other loving family members. Janice devoted her life to God, family, friends, and the community. She will be forever loved and missed. My sincere condolences to the Taylor family on the loss of Janice. Our relationship goes back to “Pop” at the old garage before Eldon and Janice bought the Chevrolet dealership. Traded my old Dodge Dart in for a Chevy Malibu in ’74 after I got my first real job. My dad stipulated that my sister had to be able to buy my old Dodge! Great times. Know Janice will be greatly missed by all. Janice was a pillar of the Maysville community. Never knew her without a smile and ‘hello’. We grew up together and had such good times as young children into high school. Janice, I will miss you! This was a shock and I send my heartfelt sympathies out to Eldon, their children, grandchildren and all their family. So sorry to hear the sad news of Janice’s passing. She was a very friendly, kind person and will be missed in the Maysville community. I will miss seeing her when I go back to Missouri to visit. Janice was always very kind to hostess the Class of 1957 reunion get-together and I will never forget her graciousness and thoughtfulness. Your family is in our prayers and hope you find peace in your wonderful memories of her. I’m sorry I didn’t know Janice but reading her obituary brought back some very fond memories of her parents, Clark & Erna Lee. I’m originally from Bolckow & my family all knew them when they ran Midway. They were wonderful people & if someone needed a job, they were always willing to take on another employee to help out a family in need. My sincere sympathy to the Taylor family. May Janice rest in peace & be united again with her parents. Our sincere condolences Eldon, Mark, Kerri, Clark and family. What a shock to hear of Janice’s passing. We will miss her smile when we come to the dealership. May her love continue to fill your hearts as you go forward. Mark, So sorry to hear of your mother’s passing. Please know your family is in my prayers. Janice Taylor was a remarkable musician and I do not say this lightly as a professional musician myself. I worked with her off and on when I was young and I found her refreshing, down to earth, and above that, Janice KNEW her music! YES! Janice will be missed. Who can ever really take her place at the Maysville United Methodist Church Music Department? One other thing, as the musician she truly was, Janice never aged. She became even more youthful during the years she performed, as performing music enhances the brain, the heart, and all that take on and perform the genre. Every time I pass that Methodist Church in Maysville, I will think of Janice Taylor, her musical legacy, and shed a few crystalline tears. We were so sorry to hear that Janice had passed. She was such a nice lady. Our deepest sympathy to her family and friends. So sorry to hear of the loss on your Mother, Janice. Prayers of strength and healing to all of you.